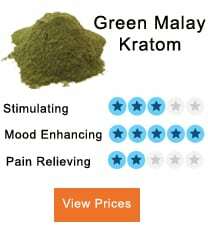 Are you a Kratom user and you have tried almost all type of Kratom strains and still feel unsatisfied? Would you want to join in a deal to learn about the Kratom Kaps Bali products involving capsules and powder so that you decide whether it will be an alternative for you? Then you have just landed in the right place. 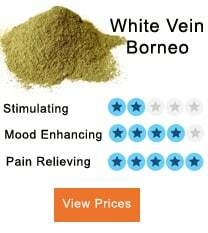 Kratom Kaps Bali comes from the red veins of the Mitragyna speciosa leaves. 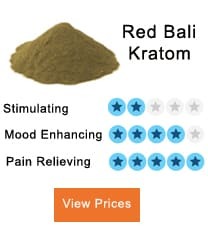 In the real sense, Kratom Kaps Bali uses the best Red Veins of the Bali Kratom that grow in the forest known to be the most potent strains in creating analgesic effects accompanied by mild sedation. In this article, we will try to break through products of the Kratom Kaps Bali so that you can make the right decision when looking for Bali Kratom. 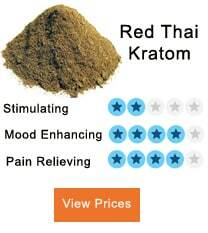 Primarily Bali Kratom comes in either capsule or powder form. 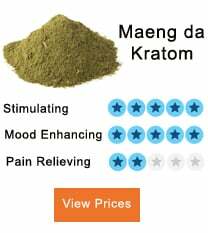 Many Kratom users are now turning to tablet more than powder form of the drug. The reason for this behavior might be because the intake method is more-easy and reliable. 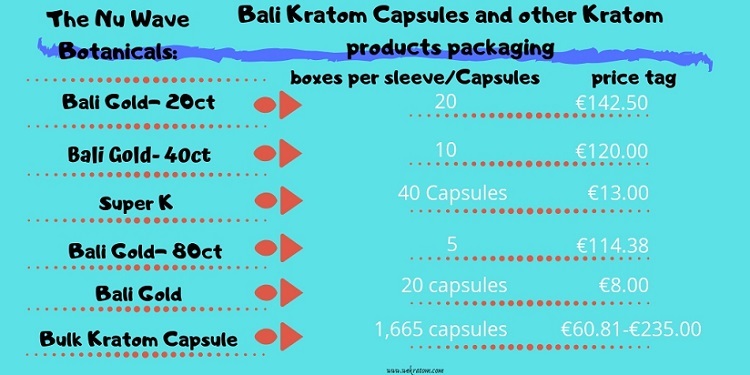 Therefore Kratom Kaps Bali capsule is on sale at a very high rate. Bali capsules are packed in different quantities each with a varying price tag. Let us have a look at just a few of them. This package contains about 20 boxes per sleeve sold at the cost of €142.50. The price is more convenient to any retailer though if you order in wholesale the package is still available. The Nu Wave Botanicals sold it but unfortunate at the moment this packaging is out of stock. 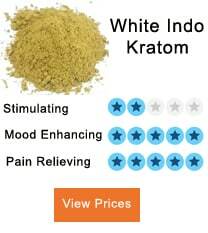 Bali Gold is rated ideal for beginners and those looking for long-term Kratom effect. The Nu Wave Botanicals also sold the packaging of the capsule and has a price tag of €120.00. It contains a packaging of 40ct in 10 boxes per sleeve. Other products that are related to this package includes the OPMS Silver Malay Caps which cost between €8.06- €19.74, the Super K- 40 Capsules in a single box costing €13.00, and the OPMS Gold 3ct Caps that cost €26.19. This packaging of capsules involves five boxes per sleeve that cost approximately €114.38 with a net weight of 17.2 oz. Currently, Nu Wave Botanicals has 14 boxes of the same in their stock. This is a single box containing about 20 capsules sold at the cost of €8.00. The Nu Wave Botanicals sell it even at the backorder. The box used to pack the pills plus the capsules themselves weighs about 1.0oz and has a dimension of 3.1x 0.4x 5.8 inches. People who have used this package recommend it as the best supplement. Similar products to this packing include the Super K box that has 20 Capsules, EXP-Experience Premium Maeng Da Blend that is a 10ct and finally the Bali Gold Mini a box of 40 capsules. This packing is by far the most famous among all capsule packaging in the Bali Kratom family. The packaging cost approximately €60.81-€235.00 with an approximate weight of almost one kilogram with around 1,665 capsules in total. This package stands the only convenient measure of tablets for those who would want the pill of Kratom in bulk. The bulk Kratom capsule consists of the Maeng Da, White vein and the Red Vein Kratom all mixed to give you a chance to enjoy three blends of strains at ago. Related products to this packaging are the Bali Gold- 20t, of 20 Boxes per Sleeve, Super K, 10 Boxes per Sleeve, and the EXP Red Vein blend 150ct. The Empty gelatin capsule has no preservative or addictive and has its origin from the US in the city of Kosher and Halal. One pill holds a total weight of 600mg to 700mg with a single packaging having ten tablets per box costing €3.50 to €19.00. In most circumstances, the above are the packages of Bali Kratom capsule that you will find in the market. Though the packing and price may vary with time ideally those are the standard measures. So when you visit your favorite vendor to order your capsule do specify the exert packaging you want. This is a 30g packaging of Bali powder Kratom and cost €13.20. You will find it in the shelves of Nu Wave Botanicals, and its’ said to be a combination of two blends, i.e., the Green Maeng Da and two other exotic strains. All these strains together create a well-grounded experience not commonly found in a single strain. Premium Maeng Da powder packing is best for a single dose and has no advanced adverse effect on the user. EP Premium Da is yet another Bali Kratom powder packing that cost approximately €19.25 per package. It is also a blend of two crafted strains including the Green Maeng Da and two other exotic strains. You will find it at the shelves of Nu Wave Botanicals with currents over 17924 stocks in place. Other products similar to EXP Premium include the Experience Red X Powder that cost €2.40-€110.00, the Experience White Buntok Powder €2.40-€110.00 and the Experience Green Sumatra Powder €2.40-110.00. EXP Premium Maeng Da 250G cost €44.00 per powder package with two blend mixtures. It’s free from any chemical just like any other packages of powder Bali Kratom since it undergoes the due testing process to detect unnecessary toxins. Similar products to EP Premium Da 250G include the EXP Premium Red Vein 250G powder that cost 44.00 dollars and the EXP Premium White Vein 250G costing 44.00 dollars. Currently, Nu Wave Botanicals has about 19380 stocks of EXP-Premium Red Vein with a single pack costing 13.20 dollars. The 30G package is in a cGMP facility that acts to avoid further decomposition of Kratom. Similar products to this package include the Experience Green Sumatra Powder, Experience Green Kapuas Hulu powder and the EXP-Premium Red Vein 60G Powder. If you had been wondering which are the different packages of Bali Kaps Kratom then today you have your question answered. Feel free to add more packaging to our list.